27y female with 3 months amenorrhoea referred to ultrasonography . 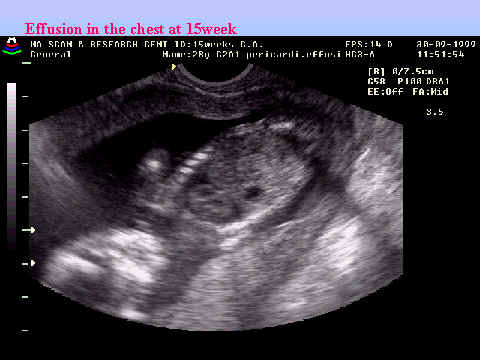 On scan I found fetus of 12 weeks with fluid in the chest ( pleural/pericardial effusion). See the trans vaginal image. 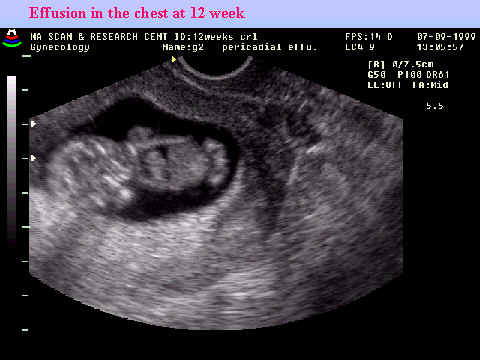 I advised repeat scan after 3 weeks to evaluate the fluid. See the trans vaginal scan image at 15tweek. Fluid is still present . But as such sonographically no other anomalies. After explaining the risk, we advised termination of pregnancy because sonographically we can exclude only 70-80% cardiac congenital anomalies. But patient wanted to continue the pregnancy. We did a rescan at 36 week. See the image . No evidence of fluid in the chest or residual signs of previous fluid. We did scan after delivery in the neonatal period. Baby is healthy. See the image . All the chambers of heart are normal. 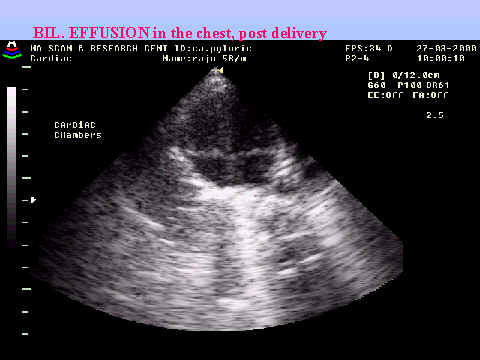 No pleural effusion. Inference/Learning: From this incidence is some of the abnormalities are self limiting specially when there is no other associated congenital anomalies. Learning submitted by Dr. M. Adinarayana Rao. M.D. (Radio-diagnosis).